« For real change to occur, action needs to take place. My intention with “Identity Crisis” was to drop a pebble into the water and hope that some of the ripples turned into waves. It is in that spirit that I am publishing this follow up essay. There are galleries, fairs, exhibitions, university programs, museum collections and stacks of books dedicated to art jewellery. Art jewellery has gone global. So how can art jewellery be dead? 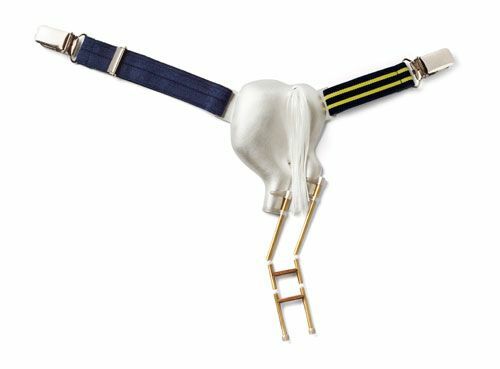 The reality is art jewellery isn’t dead, but it has become unrecognizable. 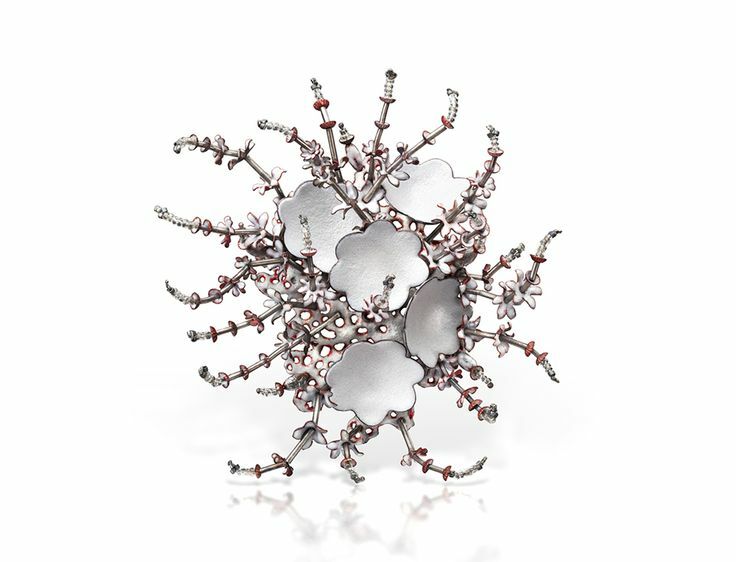 One of the biggest problems that I see today is that art jewellery has become an “umbrella term,” used to refer to a number of different types of jewellery and philosophies about jewellery that collectively create a fairly schizophrenic personality. 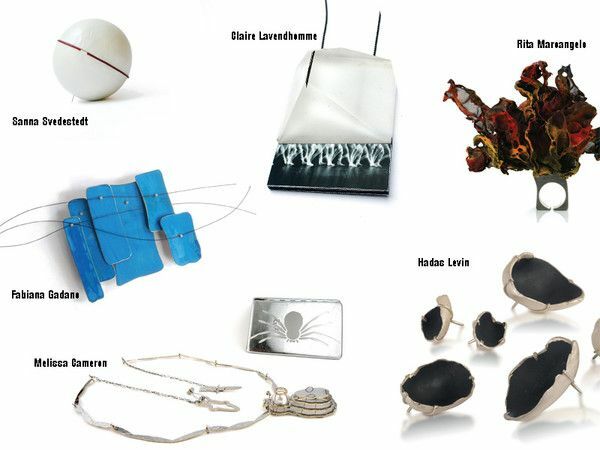 It might be more appropriate to suggest that art jewellery has multiple personalities and may at times present itself as craft jewellery, alternative jewellery, or small scale conceptual art (that may or may not function as jewellery at all). Art jewellery should be more successful today than it has ever been, yet we have continued to slump even further into decline as the field has grown and as time has passed. Our tendency has been to look for external reasons for our struggles, but I believe it is time we accept that the problems lie within what art jewellery has come to be, rather than factors that have impacted it. We can no longer blame an unstable economy for the lack of art jewellery sales because the jewellery market in general is booming. In a recent article about the Birmingham School of Jewellery’s 125th anniversary, Professional Jeweller Magazine1 reported that the UK has seen consistent growth in the jewellery and watch industry since 2009 valuing it today at £5 billion annually. Why then has art jewellery struggled so terribly? The contemporary art world is also booming, and it shouldn’t be so crazy to think that art jewellery should be enjoying similar success. I can’t help but think that the problem must lie within the realm of art jewellery itself because things seem to be fine in the outside world. 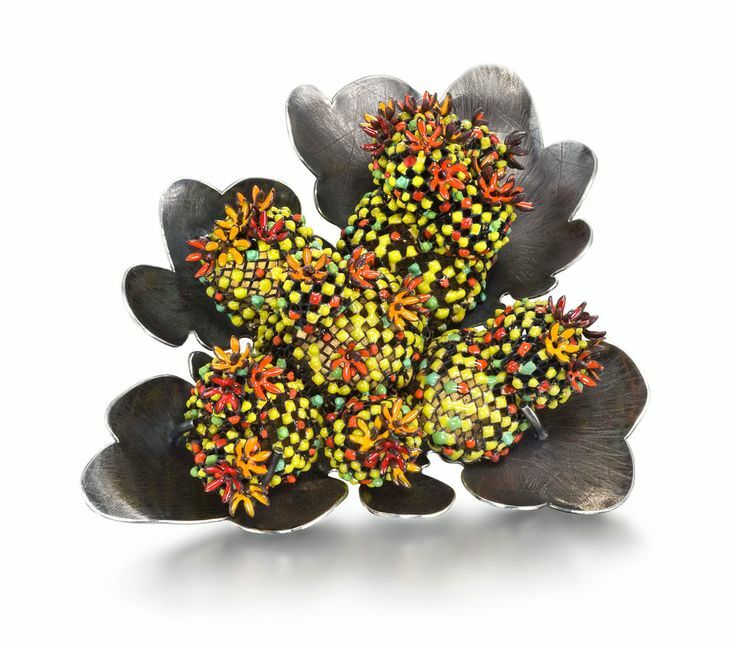 While I am a dedicated supporter of art jewellery in all forms, the field could certainly benefit from some distinctions being made between the kinds of art jewellery being produced right now. 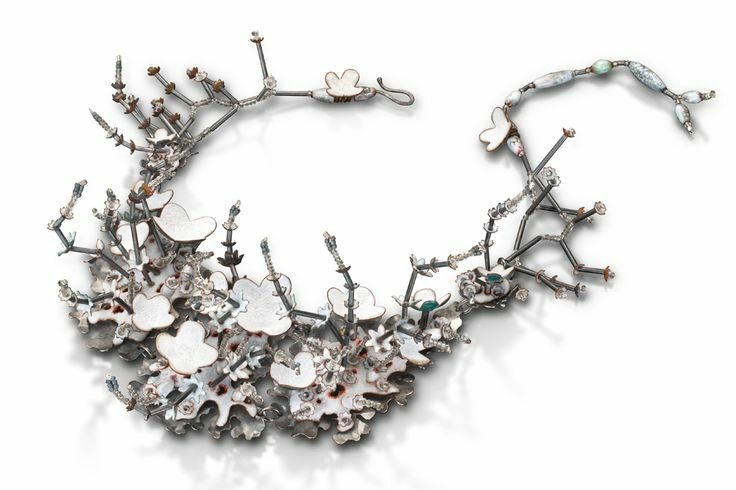 As art jewellery has grown and developed, a number of facets have taken shape and the term art jewellery has come to represent a diverse range of things, including at times costume, multi-media installations and performance art. 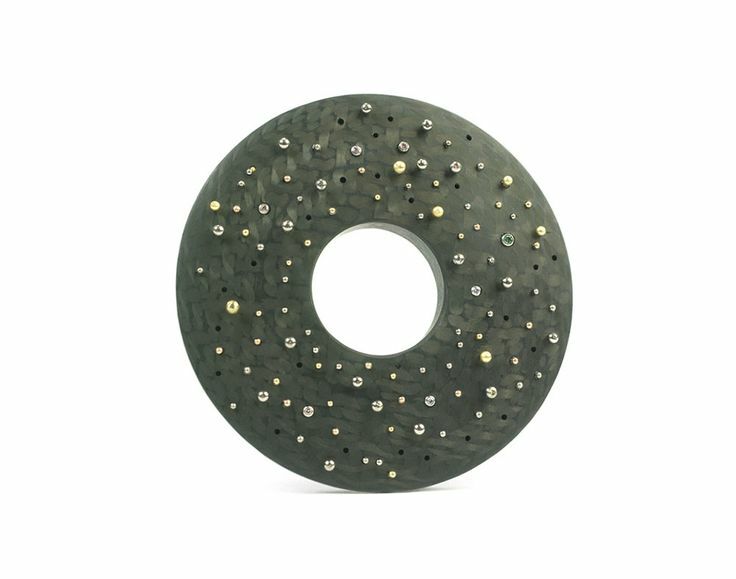 It may be unfair to say that art jewellery in general has failed or has become irrelevant, because some facets are doing much better than others. There are certain kinds of art jewellery that will always appeal to the market better than others. There are tremendous differences between the kind of customer that is looking for a highly conceptual piece of “jewellery art” for their private collection, and the customer that is looking for a piece of art jewellery to wear. I am fairly confident that the number of customers looking to purchase well made art jewellery that can be worn will always outnumber those looking to buy unwearable or overly conceptual pieces that can not be worn. For the purposes of clear communication and good marketing, it might not be such a bad idea to represent this kind of highly conceptual work separately altogether. 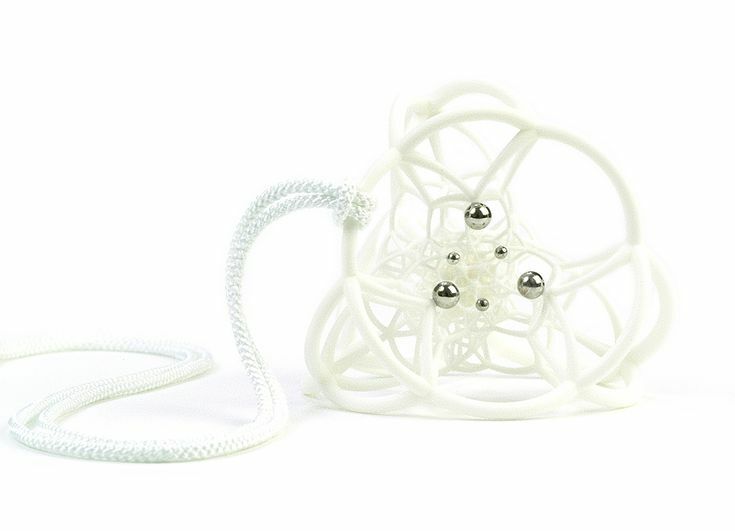 While there may be a place for conceptual jewellery within the spectrum of art jewellery, to have expectations that it will have success on its own commercially may still be unrealistic. 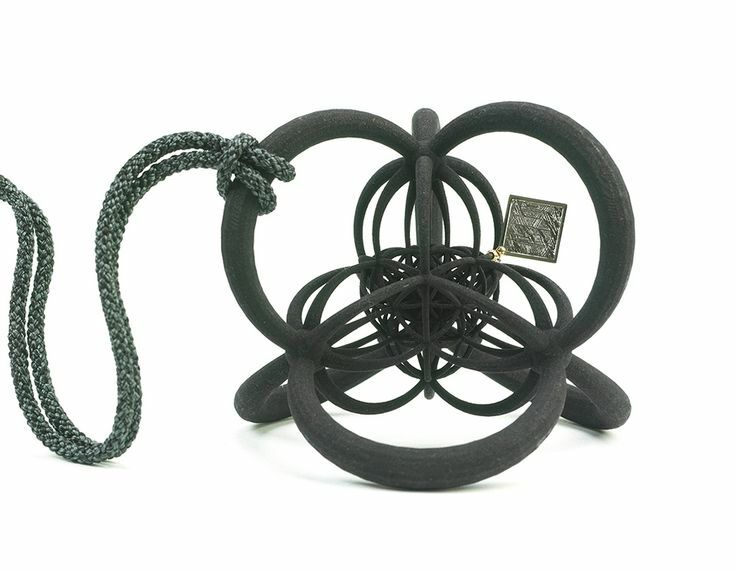 Beyond highly conceptual jewellery, the need to distinguish between art jewellery and craft jewellery is also crucial. For too long we have allowed serial and edition craft work to masquerade as art jewellery. Too many makers have resorted to focussing on multiple “editions” or serial work, which may appeal to requests from galleries for “new collections,” but often devalues the pieces overall. As more makers attend fairs to exhibit and sell their work, art jewellery has been altered to fit the needs of the wholesale format. Once again this is very reminiscent of craft jewellery, as artists look for ways to produce inexpensive multiples and work within margins. The market is changing for galleries too, many of which are now spending a good amount of time in the field attending fairs themselves. Contemporary art and design fairs have become hotbeds of activity for both artists and galleries, but it’s still too soon to say what kind of support will be cultivated in the form of new followers and collectors. Ultimately it is the audience or market that determines the value of the art we make. We can only sell our pieces for what people are willing to pay, if they are willing to pay anything at all. I often hear people proclaiming that more art jewellery isn’t purchased because the audience isn’t educated, and doesn’t understand the value of what they are looking at. I happen to disagree with this statement and have found quite the opposite in my experience. People who have an interest in art jewellery tend to be quite educated. They also tend to have both an understanding of, and appreciation for art and craftsmanship. Ultimately it is the audience or market that determines the value of the art we make. We can only sell our pieces for what people are willing to pay, if they are willing to pay anything at all. Regardless of how educated the audience is or isn’t, they directly contribute to the valuation and commercial success or failure of an artist’s work, more so than galleries do. You can’t fake craftsmanship, and it’s something that people have simply come to expect when it comes to jewellery whether you work in gold, plastic, paper or textile. It may be fair to say that there is currently a lot of good craft jewellery and conceptual art being made by people who call themselves jewellery artists. But calling something art jewellery and something actually being art jewellery are two very different things. Art jewellery has changed dramatically over the last decade. When I think back to what art jewellery was about when I first became interested in it, I remember a vastly different landscape. Fundamentally speaking, art jewellery was about artists making jewellery. 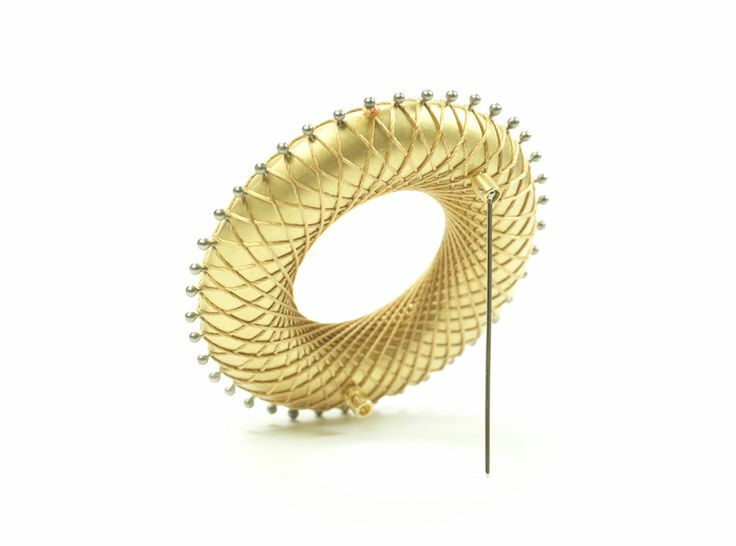 The art jewellery movement began when artists who were highly skilled jewellery makers, started exploring different approaches to jewellery making that were outside the traditional boundaries of conventional jewellery. These artists experimented with various kinds of materials, forms, and techniques, developing a field that at the time was quite radical. Art jewellery was about more than stringing together bits and pieces, or assembling collections of found objects. 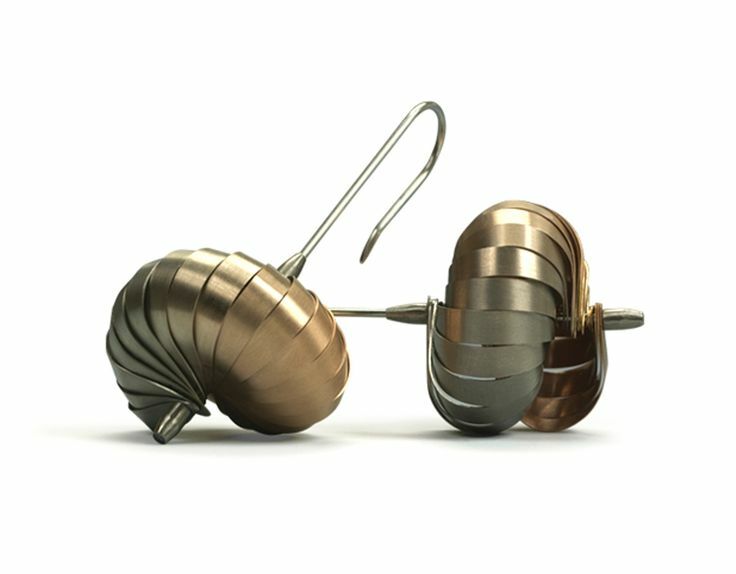 Using alternative materials, casual construction, and giving the piece a socio-political title was not enough to qualify something as art jewellery. It may be fair to say that there is currently a lot of good craft jewellery and conceptual art being made by people who call themselves jewellery artists. But calling something art jewellery and something actually being art jewellery are two very different things. Virtual success is measured by social media ratings which in turn has only fed our need for instant gratification. In a “fast food” like manner we are constantly bombarded with content, giving us little time to digest between servings. Before the internet became a mainstream resource and tool for communication, the information available about art jewellery was not only limited, but carefully curated as well. “Information” came in the form of physical exhibitions, books and magazines. There were no websites or blogs and therefore information was available periodically and for the most part regionally. Today we each have our own websites or social media “channels,” and information is made available in real-time. 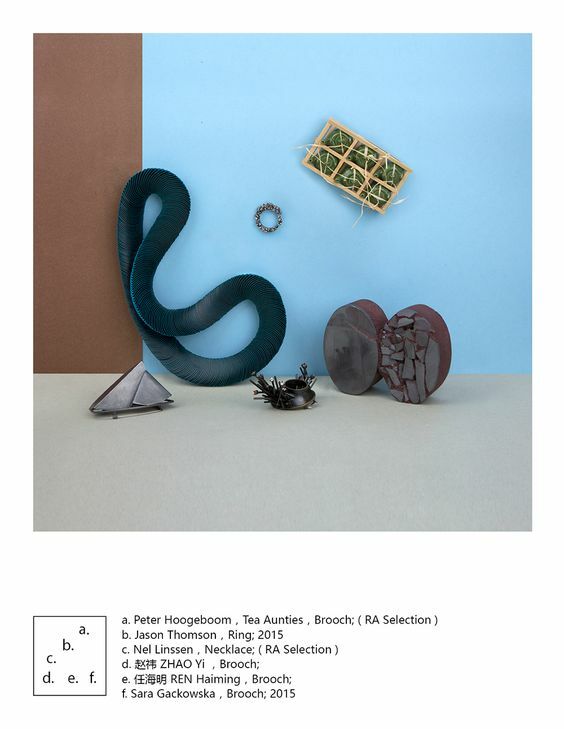 New work is “published” daily and essentially with little to no filter. The internet has become the ultimate platform for the work we produce, providing artists with the ability to virtually exhibit and sell their work to a global marketplace. Virtual success is measured by social media ratings which in turn has only fed our need for instant gratification. In a “fast food” like manner we are constantly bombarded with content, giving us little time to digest between servings. The art jewellery spectrum has been stretched beyond imagination. 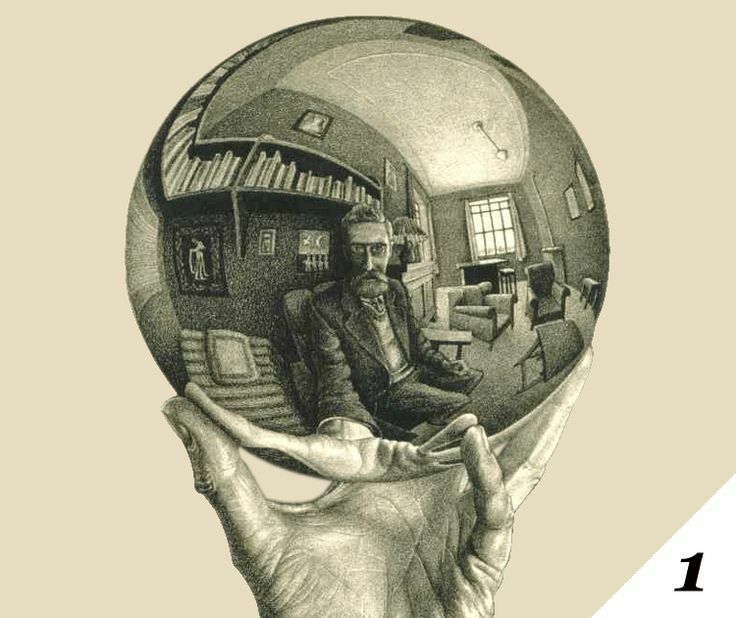 Sometimes it seems as though artists are merely competing to see who can take jewellery to the furthest points of abstraction, physically and philosophically, while others compete to see who can use or repurpose the most obscure materials or objects in a quest to create the “nouvo-collage” on a pin or a string. This is a complete departure from what art jewellery is intended to be, and a departure that I attribute in part to extremism. Extremism has convinced students year after year that in order to succeed as a jewellery artist, they must reinvent art jewellery and the materials they use to create it. Extremism has replaced skill and technique with ego and shock value. While I have seen some very interesting and thought provoking things arise from this extremist approach to art jewellery over the years, I would venture to say that it is work of the “extremist art jeweller” that could be pronounced dead rather than art jewellery in general. If you look at the ideologies at either end of the “art jewellery spectrum,” what you will find are extreme interpretations of jewellery that may not have much potential for commercial success. Today’s iteration of art jewellery has been diluted. Our standards have simply been watered down. Craftsmanship, functionality, and synthesis of concept and form are no longer important when assessing the success or failure of a piece. Photographs and artist’s statements have become more valuable currency than the objects themselves, often obscuring the true nature of the pieces they document, or how well or poorly they are made. The foundation skills necessary for making jewellery are no longer required to make art jewellery, or so it would seem. Some groups will tell you that a piece of art jewellery need not function as jewellery at all, as long as the intention exists. Many artists no longer think enough about who or if anyone will ever wear their jewellery, which has led to a complete disconnect with the wearer. Artists no longer produce jewellery for people to wear, but rather to build portfolios and develop their own artistic identities. The wearer or end user has been erased from the equation, and herein lies another one of our critical dilemmas. Jewellery is something that people need to have a very personal and individual connection with, much more so than art which is generally intended for a broader public audience. Finding a happy medium can often be the biggest challenge when making art jewellery and must at least begin with a desire to do so. “Art Jewellery is Dead.” That’s how all of this began. With an absurd statement, that after careful scrutiny, may have been nothing more than a wakeup call from someone who really knows what this movement is supposed to be all about. In fact, what has transpired is nothing more than a frantic call for the defibrillator, and a huge gasp for air. Resuscitation alone is not enough however. Art Jewellery is in need of a transfusion and an injection of new fresh blood. Art Jewellery isn’t dead; it is hiding from its own “identity.” For fear that it looks in the mirror only to realize that it still has a tremendous amount of growing up to do. The Dogmas and narrow minded curating of Art Jewellery over the last decade or more have led us to question whether we even have a future as a field. Over the years I have developed a network of friends and colleagues in the Americas, Europe, and Asia who will all tell you that Art Jewellery is alive and well. It might not be what you think it is anymore, but a new “identity” is being revealed. It will be immediately recognizable and you won’t have to ask yourself “is that Art Jewellery?” Real Art Jewellery slaps you in the face. It makes you feel something. You might find yourself proclaiming “I have to have that” before you’ve even had time to think, or ask how much it costs. Anyone who has ever bought a piece of Art Jewellery knows this feeling. It is an indescribable feeling. It is amazement that you can affix to your body and show off to the world as your latest discovery. Ask yourself when the last time you experienced this was and you will soon realize how scarce real Art Jewellery has become. That is one of the biggest problems we face with Art Jewellery today. We have come so far, and yet perhaps we have only scratched the surface. Why stop here? Things got difficult, and now we’re all just supposed to pack it in? No way. Its time to clean house and get things in order. But if we want to ensure the survival of this movement, we must ensure that our mission statement is clear, that we have realistic goals, and that we celebrate excellence, not mediocrity. As long as artists create jewellery, an art jewellery movement will exist. It is entirely up to us however, to determine how successful and prolific we will be as a field. 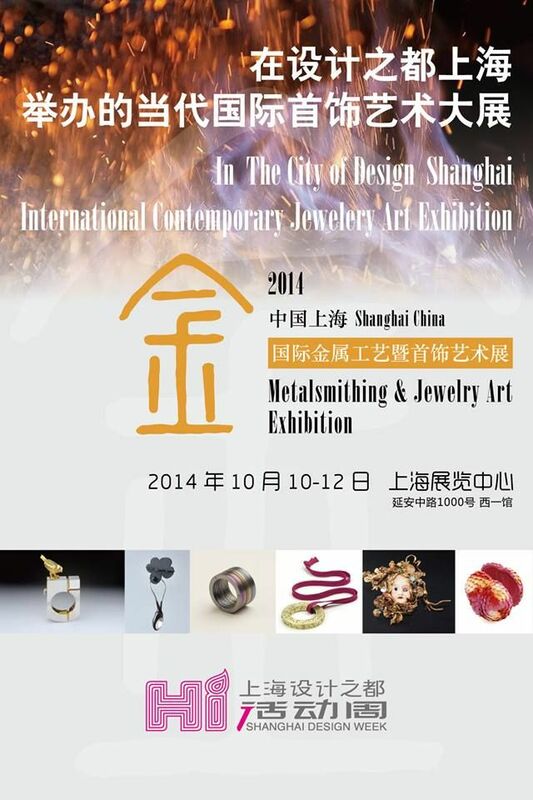 In October, 2014 I travelled to China where I was invited to serve as one of the art directors for the Shanghai Jewellery Art Exhibition at Shanghai Design Week. I was also invited to present a lecture at Design Week, and asked to specifically speak about finding a balance between artistic expression and commercial success. That lecture was presented a second time to the jewellery department at Wuhan University of Engineering Sciences several days later. The lectures, as well as this essay, have been developed from the notes that I will share with you over the course of this text. We will look back at the more successful periods that Art Jewellery has enjoyed and try to determine what has changed. We will also look at how a redivision of the branches of Art Jewellery may help us more accurately understand and communicate with our target markets. While I certainly don’t claim to have all the answers, I am prepared to share my thoughts and feelings on these subjects in an effort to keep a healthy dialogue flowing. My end goal is to ensure the survival and success of the field we all work within, and my hope is that we all benefit from reviving this important movement. I received an overwhelmingly positive response to my last essay “Identity Crisis,”which was a call to action, in an effort to change things before its too late. But it doesn’t just end with essays, declarations and manifestos. For real change to occur, action needs to take place. My intention with “Identity Crisis” was to drop a pebble into the water and hope that some of the ripples turned into waves. It is in that spirit that I am publishing this follow up essay. »The Golden Standard,” tarnished or simply abandoned? EXTENDED to FEBR. 15 ! 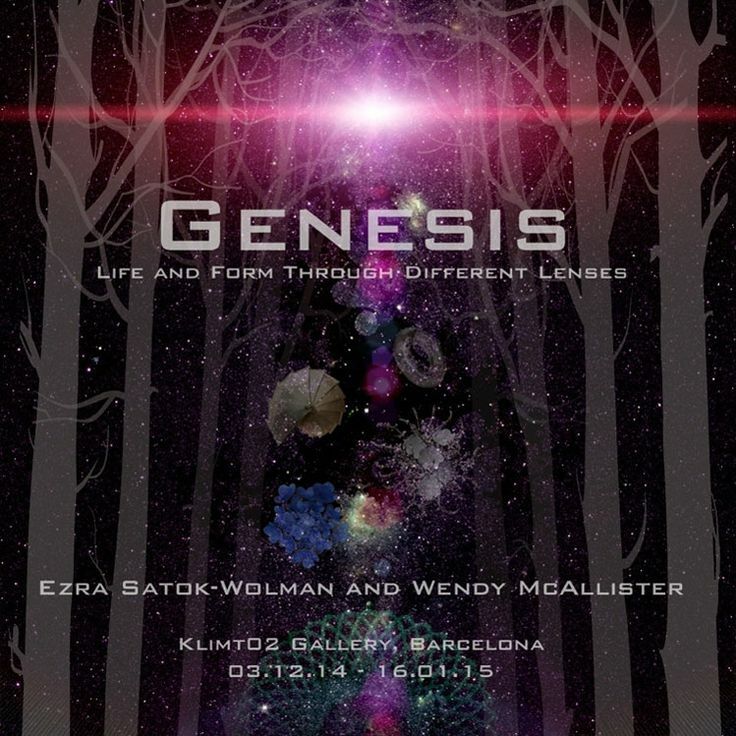 Genesis: Life and Form Through Different Lenses is a duo exhibition of jewelry by Ezra Satok-Wolman and Wendy McAllister at the Klimt02 Gallery. 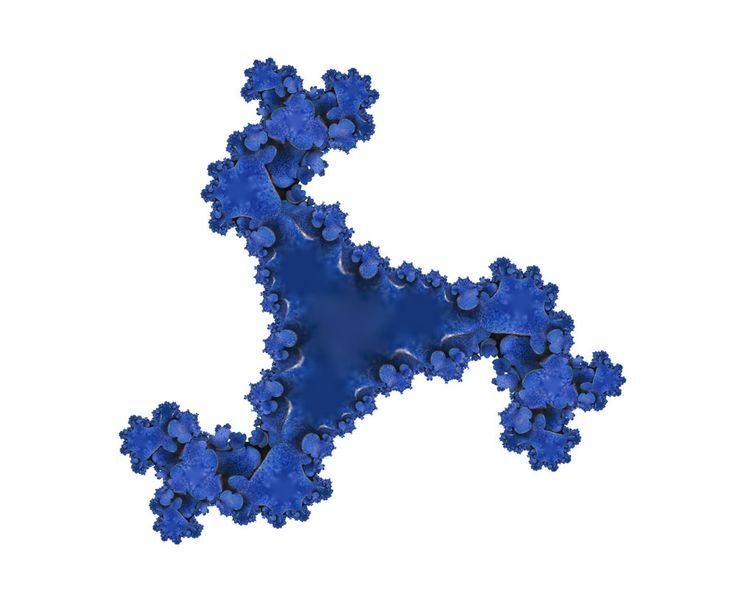 The concept was born in Barcelona in 2012 after Ezra’s trip to the Sagrada Familia, when he came to realize that Gaudi’s infamous project was the perfect archetype for the macrocosm microcosm concept with nature as the basis for its artistic concepts and many of the structural elements. 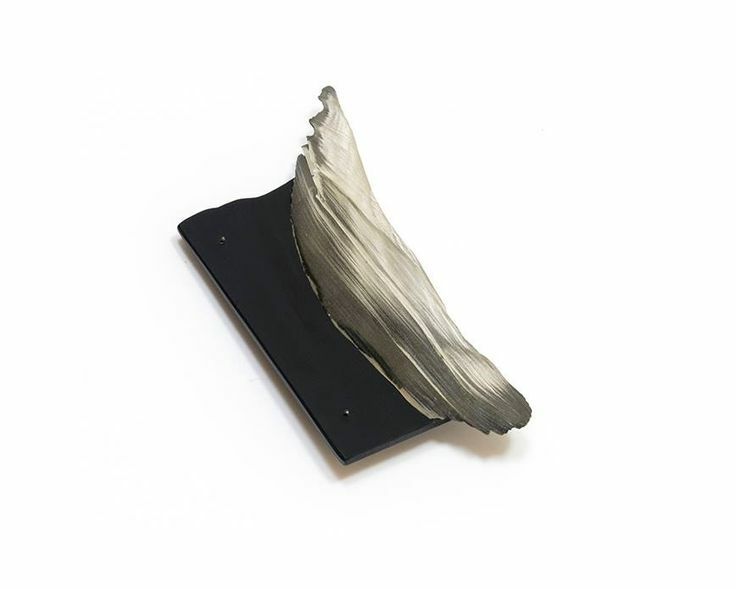 After seeing Wendy’s work in person for the first time at Sieraad Art Fair in 2013, Ezra realized that they were both inspired by the same subject matter and trying to represent very similar concepts in their work. On that same note, their interpretations are vastly different and the lens paradigm began to evolve into an exhibition concept. Not only did this draw a clear parallel with the Sagrada Familia project, but their subject matter was in line with Gaudi’s artistic motivation, to demonstrate the beauty and wonder of nature’s grand design and its connection to the rest of the Universe. The event ‘Amusingold and The Jewellery House Meet Design‘ presents an accurate selection of sculpture jewels, worked with innovative techniques and materials that look at the research of new shapes and important volumes, influenced by art and architecture. 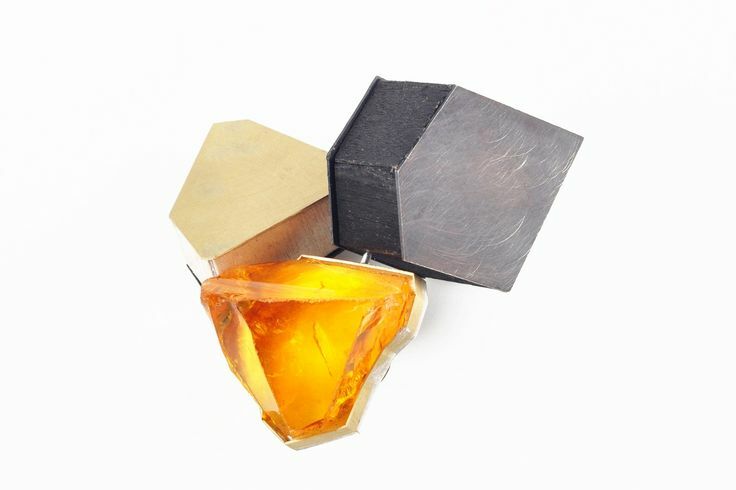 This exhibition at the Milan Design Week awards the exclusivity and the design of jewelry pieces through one-a-kind pieces in titanium, niello, paper, glass and wood. As always, the aim is to recreate a synergistic atmosphere, comparison and cosmopolitan, arising from the several experiences and background of each designer. From Canada, Ezra Satok-Wolman, signature of the brand Atelier Hg, born in 2009, creating a reseach laboratory in which they find expression, art and experimentation using palladium and gold. From Spain, Ana Hagopian whose passion is to play with paper and her inspiration comes from nature and its limitless colours. The young designer Rayya Morcos, coming from Beirut, signature of the brand « Bird on a Wire« , explores the jewel necklaces with large copper, wood and fiberglass for an effect of continuous movement. 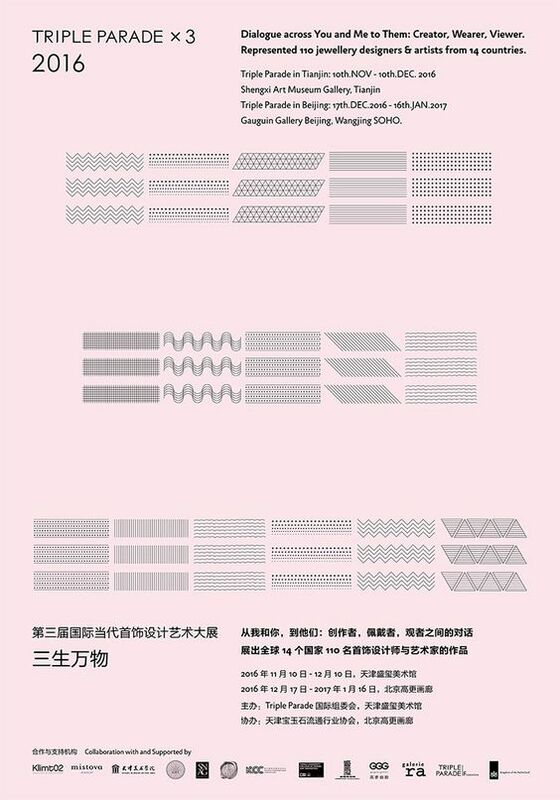 As by Atsuko Sano from Japan breaks the aesthetic patterns thanks to his graphics effects in silver rhodium. 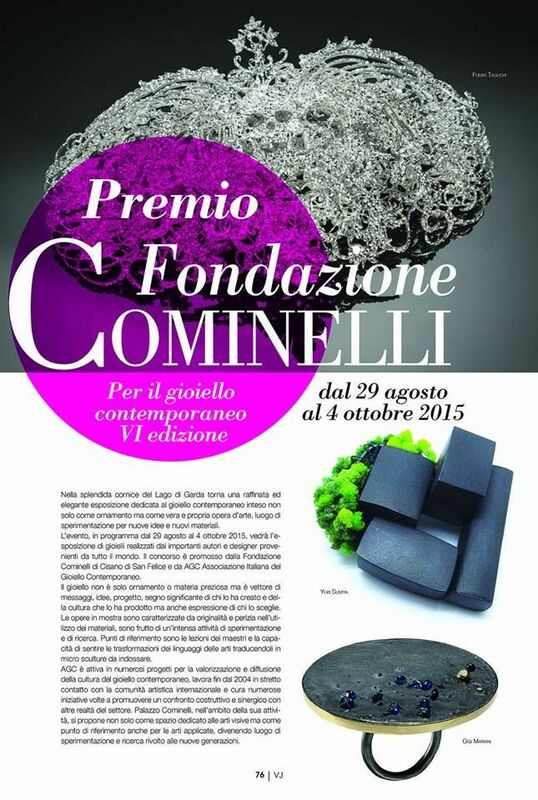 Valuable and at the same time conceptual inclusions come from Italy, with the jewel of art by Gigi Mariani that prays tributes to ancient techniques such as niello, granulations and oxidation, and with the Fabio Cammarata’s jewel sculpture that breaks the static nature of metals inn an unconventional way, using harmonic experiments with gold, silver, iron and brass. They are instead the resin and the gold to create entrancing material combinations, which borrow from the nature and some of its most significant elements, transforming them into delicate bucolic creations signed by Roberto Marroni for Marroni Design, while geometric shapes declined in cubic and rectangular gold and rock crystal are the icon of the inspiration for the PI. Jewellery sculptures. 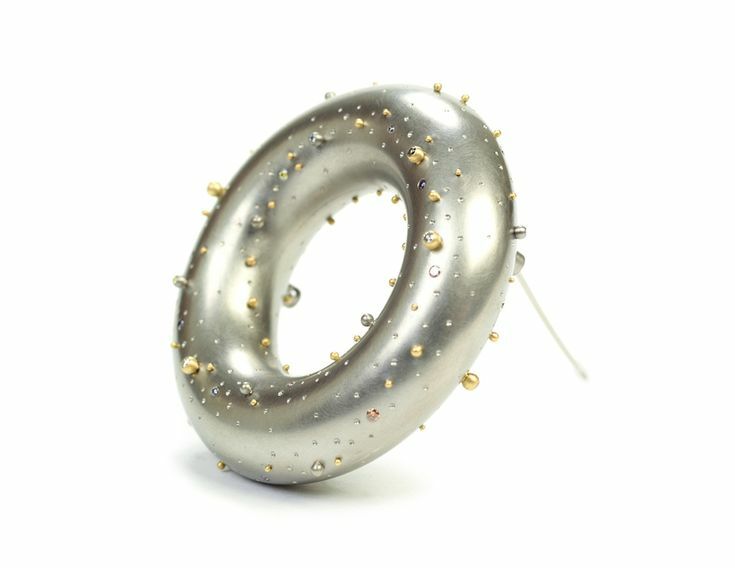 Design in the form and the volumes of rings in silver burnished with details in brown diamonds for the turinese brand Sardo, and intentional heel of spirals, waves and spirals, combined with decorations in gold and pearls, in those deconstructured from Averla, you placed in a dimension of micro-pièces d’art.